Labor Camp rejects the notion that cultural contribution is made only through material goods broadly defined as art. Direct and conclusive denotation of cultural worth of any artifact is in truth impossible. An artistic product may address an urgent need, convey messages of import, or provide an insight into an unspoken truth. But all these are fleeting concerns. They are important only now and only to some. Time erases. People forget. Things break down. However: The forms developed in the process of artistic production do acquire an assessable value, but only inasmuch as they are the evidence of labor undertaken to construct them. The Labor itself is the only unchanging criterion of cultural merit. Thus: Suspending all ideological banners, we work. Through the labor of our hearts, minds and hands we render useless the endless chatter of moral ambiguity. 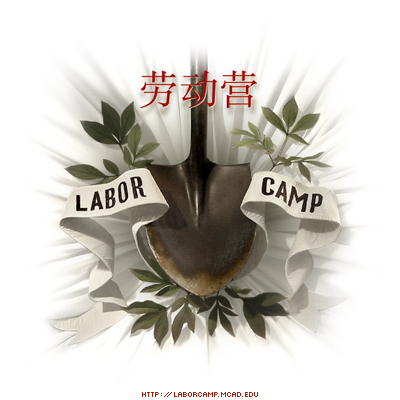 Labor Camp celebrates beauty and dignity of labor: We Work All The Time. Labor Camp promotes immateriality: It exists at no particular location, and has no fixed physical form. Labor Camp encourages all forms of individualism: No man is equal. Labor Camp belongs to no one, and belongs to all.